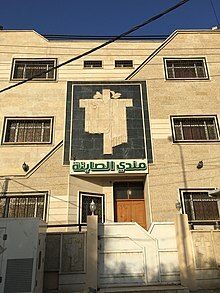 Maabadi ya Wamandayo huko Nasiriya, Iraq. Ujuzilio (kwa Kiingereza: "Gnosticism", kutoka neno la Kigiriki γνωστικός, gnostikos, "mwenye ujuzi", ambalo mzizi wake ni γνῶσις, gnōsis, "ujuzi") ni nadharia ya wokovu kupatikana kwa njia ya maarifa. Mazingira ya asili ni Uyahudi wa karne ya 1 na ya 2 BK. Wagnostiki, wakitafsiri namna yao Torati na vitabu vingine vya Biblia, walidai ulimwengu unaoonekana haukuumbwa na Mwenyezi Mungu, bali na roho nyingine iliyofunga chembe ya Umungu katika mwili. Walidai kuwa maarifa yanaweza kukomboa hiyo chembe, si imani. Nadharia hiyo ilistawi hasa kando ya bahari ya Kati, ikichanganyikana na falsafa ya Plato na matapo ya Ukristo yaliyopingwa na uongozi wa Kanisa kama uzushi. Kuanzia karne ya 3 nguvu ya nadharia hiyo ilipungua, lakini bila kufutika kabisa katika ustaarabu wa magharibi hadi leo. Kwa mfano, ulijitokeza katika Renaissance. Pia kutoka Dola la Persia, Gnosi hiyo ilienea hadi China kwa njia ya Umani, tena hadi leo ipo hai nchini Iraq kwa njia ya Wamandayo. Aland, Barbara (1978). Festschrift für Hans Jonas. Vandenhoeck & Ruprecht. ISBN 3-525-58111-4. Burstein, Dan (2006). Secrets of Mary Magdalene. CDS Books. ISBN 1-59315-205-1. Green, Henry (1985). Economic and Social Origins of Gnosticism. Scholars P., U.S.. ISBN 0-89130-843-1. Haardt, Robert (1967). Die Gnosis: Wesen und Zeugnisse. Otto-Müller-Verlag, Salzburg, 352 pages. , translated as Haardt, Robert (1971). Gnosis: Character and Testimony. Brill, Leiden. Hoeller, Stephan A. (2002). Gnosticism — New Light on the Ancient Tradition of Inner Knowing. Wheaton: Quest, 257 pages. ISBN 0-8356-0816-6. Jonas, Hans (1993). Gnosis und spätantiker Geist vol. 2:1–2, Von der Mythologie zur mystischen Philosophie. Göttingen: Vandenhoeck & Ruprecht. ISBN 3-525-53841-3. Klimkeit, Hans-Joachim (1993). Gnosis on the Silk Road: Gnostic Texts from Central Asia. Harper, San Francisco. ISBN 0-06-064586-5. Kosack, Wolfgang: Geschichte der Gnosis in Antike, Urchristentum und Islam. Verlag Christoph Brunner, Basel 2014. ISBN 978-3-906206-06-6Script error: No such module "check isxn". Layton, Bentley (1995). "Prolegomena to the study of ancient gnosticism", in edited by L. Michael White, O. Larry Yarbrough: The Social World of the First Christians: Essays in Honor of Wayne A. Meeks. Fortress Press, Minneapolis. ISBN 0-8006-2585-4. Layton, Bentley (ed.) (1981). The Rediscovery of Gnosticism: Sethian Gnosticism. E.J. Brill. Markschies, Christoph (2000). Gnosis: An Introduction, trans. John Bowden, T & T Clark, 145 pages. ISBN 0-567-08945-2. Pagels, Elaine (1989). The Johannine Gospel in Gnostic Exegesis. Atlanta, Ga.: Scholars Press, 128 pages. ISBN 1-55540-334-4. Petrement, Simone (1990), A Separate God: The Origins and Teachings of Gnosticsim, Harper and Row ISBN 0-06-066421-5Script error: No such module "check isxn". Rudolph, Kurt (1987). Gnosis: The Nature & Structure of Gnosticism. Harper & Row. ISBN 0-06-067018-5. Yamauchi, Edwin M., "Pre-Christian Gnosticism in the Nag Hammadi Texts?," in Church History vol. 48, (1979), pp. 129–141. Cite error: <ref> tag defined in <references> has group attribute "web" which does not appear in prior text. Barnstone, Willis (1984). The Other Bible: Gnostic Scriptures, Jewish Pseudepigrapha, Christian Apocyrypha, Kabbalah, Dead Sea Scrolls. San Francisco: Harper & Row, 771. ISBN 978-0-06-081598-1. (2003) The Gnostic Bible. Shambhala Books, 880. ISBN 1-57062-242-6. (2010) Essential Gnostic Scriptures. Shambhala Books, 271. ISBN 978-1590309254. Layton, Bentley (1987). The Gnostic Scriptures. SCM Press, 526 pages. ISBN 0-334-02022-0. Plotinus (1989). The Enneads, translated by A.H. Armstrong 1, Harvard University Press. ISBN 0-674-99484-1. Robinson, James (1978). The Nag Hammadi Library in English. San Francisco: Harper & Row, 549 pages. ISBN 0-06-066934-9. Je, unajua kitu kuhusu Ujuzilio kama historia yake au uenezi wake? Ukurasa huu umebadilishwa kwa mara ya mwisho tarehe 11 Novemba 2017, saa 12:17.